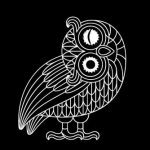 The Documenta-Owl is under GNU-License, you find the original owl and the license here: https://de.wikipedia.org/wiki/Datei:Documenta-Eule.svg. We modified the originla owl. Now she smiles and bats the eyelid of her KloHäuschen-eyes. According to GNU License (see link above) also this KloHäuschen-Biennial-Owl can be distributed and modified freely. We would like to point out that KloHäuschen Biennial is not supported by documenta 14 and has no conection to documenta – the fact is that KloHäuschen simply tries to learn from documenta how an “art exhibition of world format” is being realized. Participating artists and team members of 4th KloHäuschen Biennial, named fotografers and the rest by Das KloHäuschen & Anja Uhlig. Third parties are expressly prohibited from using contact details published herein, as required under the “Impressum” (Imprint – legal notice) requirement of German law, for the purpose of sending advertising or informational material which has not been specifically requested. Where spam e-mails or other unsolicited advertising information is sent, the operators of the relevant websites specifically reserve the right to take legal action. a project by Anja Uhlig / realitaetsbüro supported by the cultural department of the City of Munich.